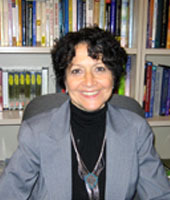 Martha Bragin LSCW, Ph.D. is an associate professor in the Department of Psychology at John Jay College of Criminal Justice, City University of New York and on the Clinical and Research Faculty in Social Work of the International Program in Refugee Trauma, (IPORT) at Columbia University College of Physicians and Surgeons. For the past ten years Dr. Bragin has consulted to a number of agencies on the cultural components of epidemiological research and the “best clinical practices” for the treatment of children affected by armed conflict. She has developed and assessed psychosocial programs for children and families in conflict situations in South America, Africa and the Middle East, working with agencies such as Care International, Child Fund Afghanistan, Save the Children Federation, United Nations Children’s Fund, and the International Rescue Committee. Dr. Bragin has published numerous articles and chapters on this topic, a recent article is titled: Knowing terrible things: engaging survivors of extreme violence in treatment in Psychotherapy and Psychoanalysis, 2004. Dr. Bragin received her master’s from Hunter College School of Social Work in New York and doctorate from New York University School of Social Work. In 2014, Martha Bragin was listed a a friend on the DuBois Clubs Facebook page. In 1991 Martha Bragin, New York, was one of several hundred Communist Party USA members to sign the a paper "An initiative to Unite and Renew the Party"-most signatories left the Party after the December 1991 conference to found Committees of Correspondence. In 1992 Martha Bragin, New York, endorsed the Committees of Correspondence national conference Conference on Perspectives for Democracy and Socialism in the 90s held at Berkeley California July 17-19. Economic Crisis Homelessness, joblessness, poverty & the enduring economic crisis. What should be the role of the left in shaping strategy and building an effective fightback. This page was last modified on 1 May 2014, at 08:52.